Latticed ornamental screen’s, were ubiquitous architectural features throughout the Mughal Empire, known as ‘Jali’s’ and traditionally adorned with calligraphy, floral and geometry motifs popular decorative style for railings around thrones, platforms, terraces and balconies, which flourished from the sixteenth through the eighteenth centuries. Originally designed to allow women to view life outside their quarters while remaining secluded from prying eyes, the Jali design was used as window screens, room dividers, and even cooling system. Jali’s uniquely express dazzling and mesmerising effects, through the interplay of daylight, shadow, and pattern. Workshop inspired by my recent trip to Mughal-rich heritage city of Lahore in Pakistan. 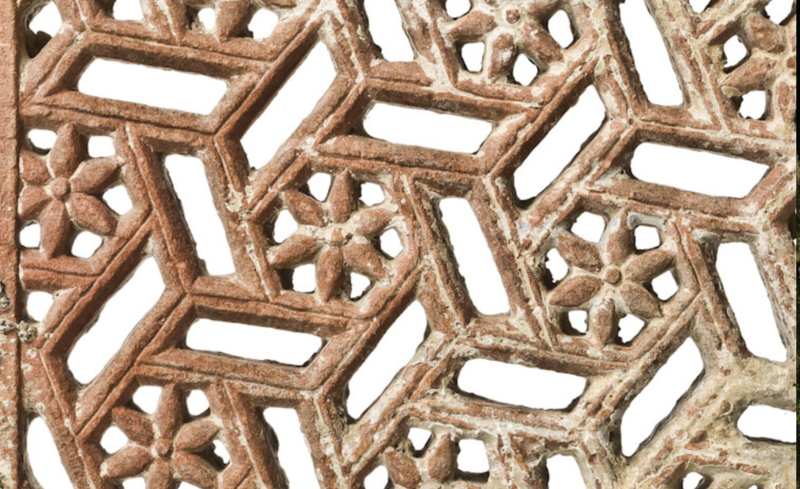 Why not join me to learn to draw traditional geometric patterns, by analysis led by step-by-step teaching approach, using a compass, ruler and cutter to create your very own paper Jali!